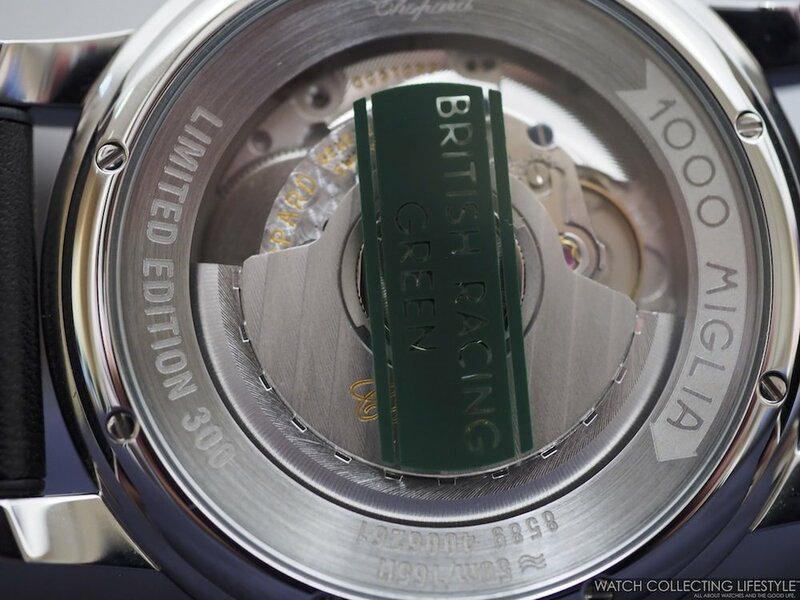 Available in a limited run of 300 pieces for each color, the watches come in British racing green —almost black looking under certain lighting conditions—, speed yellow, speed silver, rosso corsa red and vintage blue. 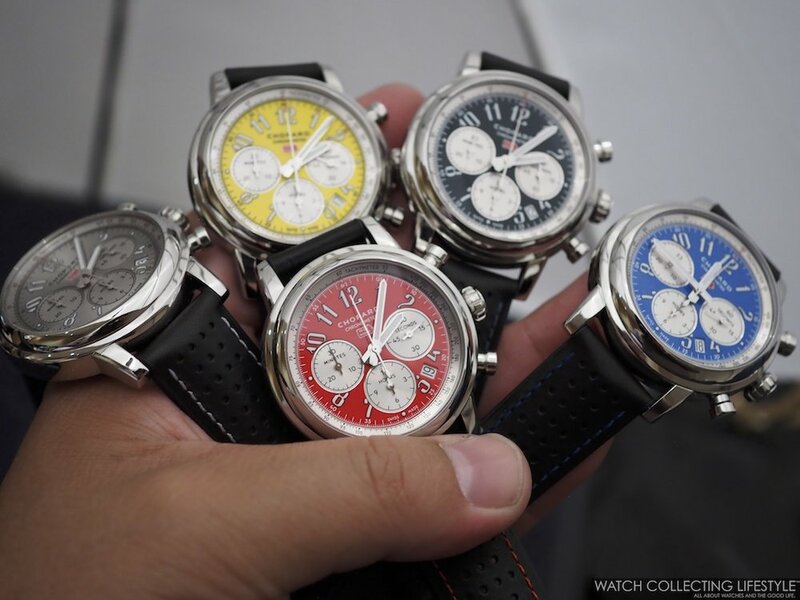 All five watches are delivered on a black calfskin perforated strap with contrast stitching matching the color of the dial and rubber lined with Dunlop 1960 tire tread motif. 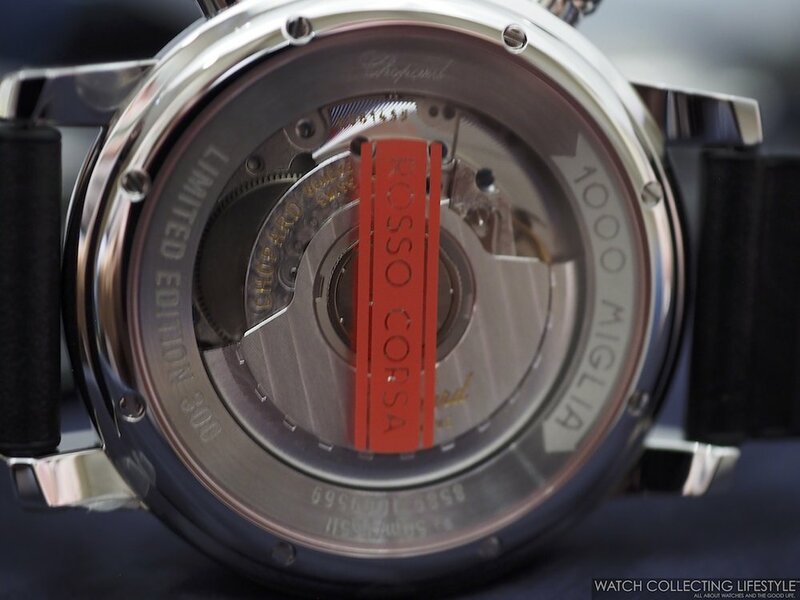 The watches feature a display case back and are water resistant to 50 meters. 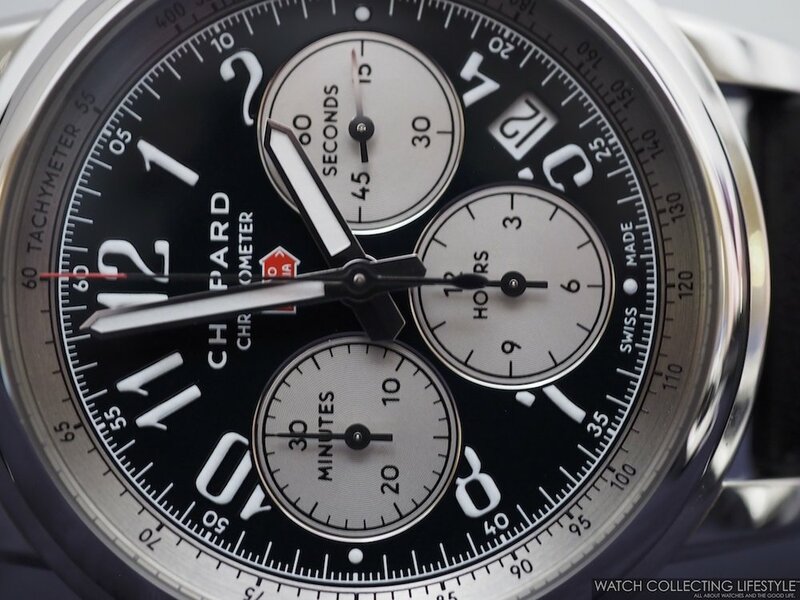 Powered by an automatic chronograph movement that is COSC certified, the power reserve is of approximately 42 hours. 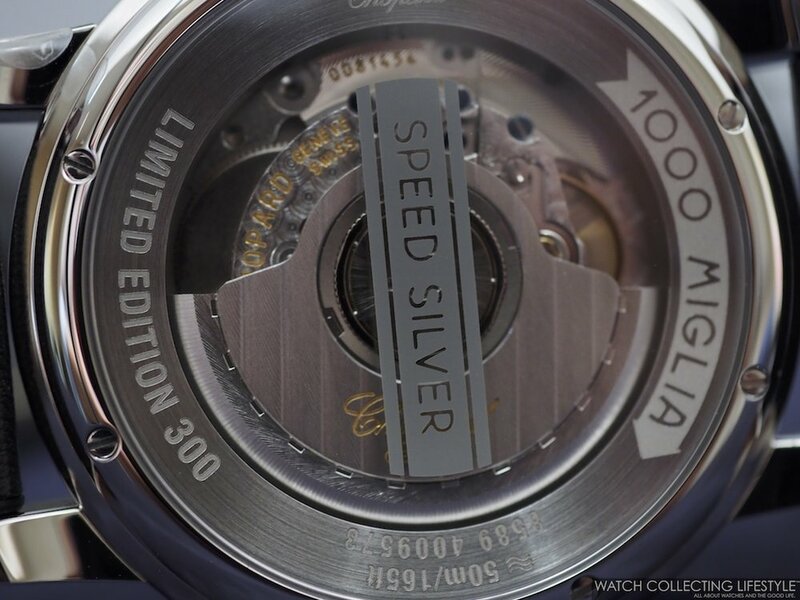 The cases are highly polished throughout and the dials feature a glossy finish paired with brushed finish dark grey registers. 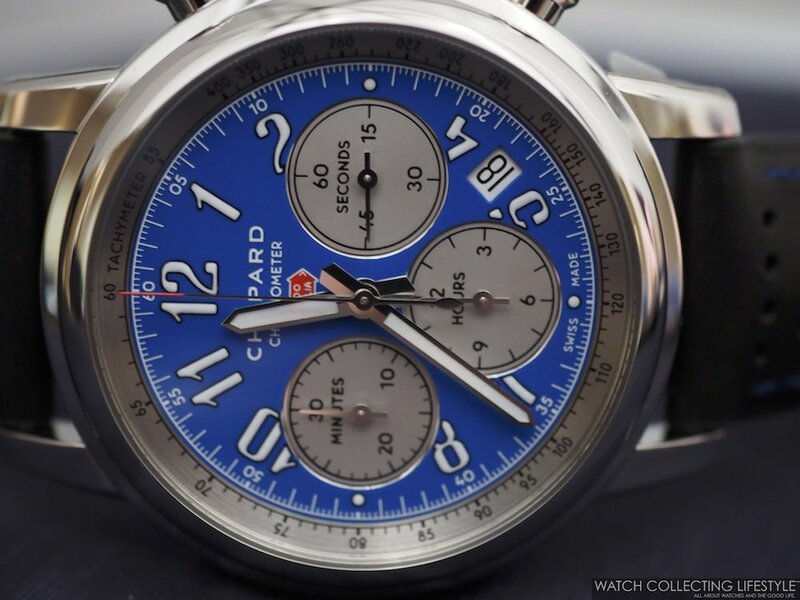 The dial has a very classic racing inspired layout with running seconds at 3 o'clock, 30-minute chrono register at 9 and 12-hour chrono register at 6 o'clock. 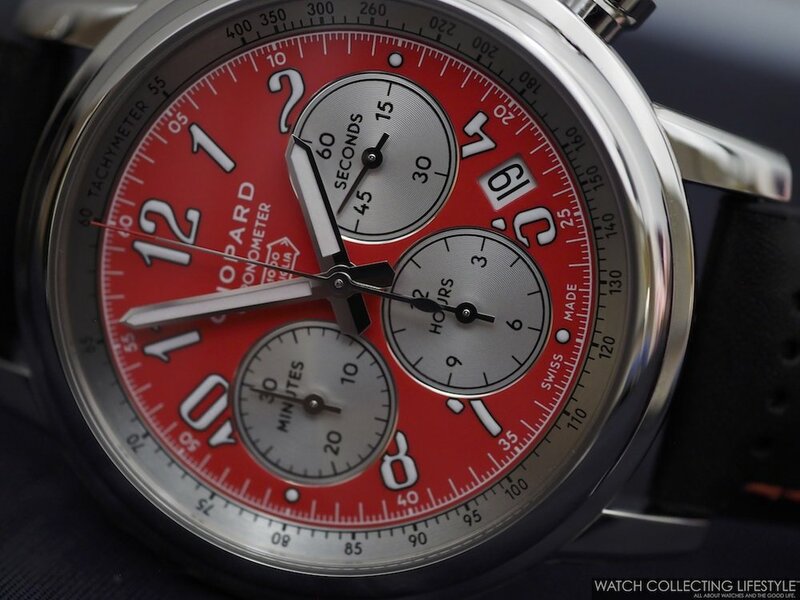 On the wrist, the Chopard Mille Miglia Racing Colors limited edition watches wear true to its size and with super sporty wrist presence. 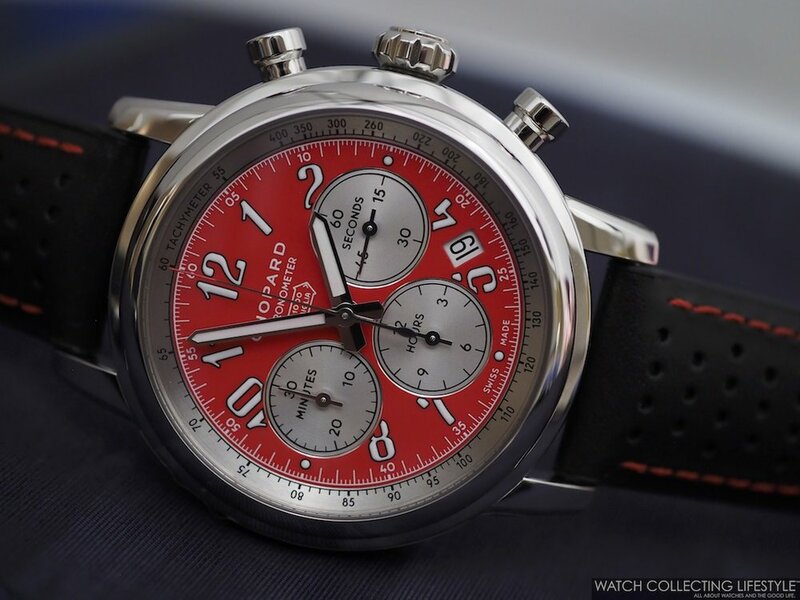 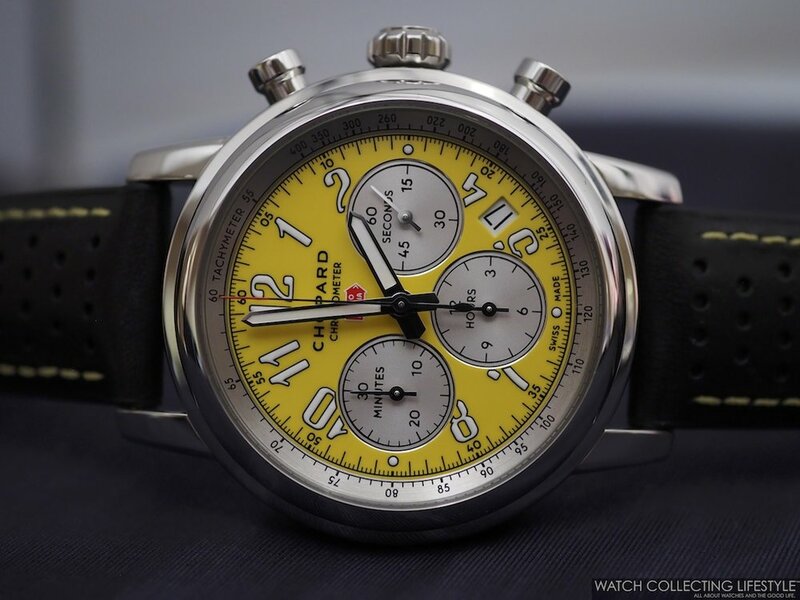 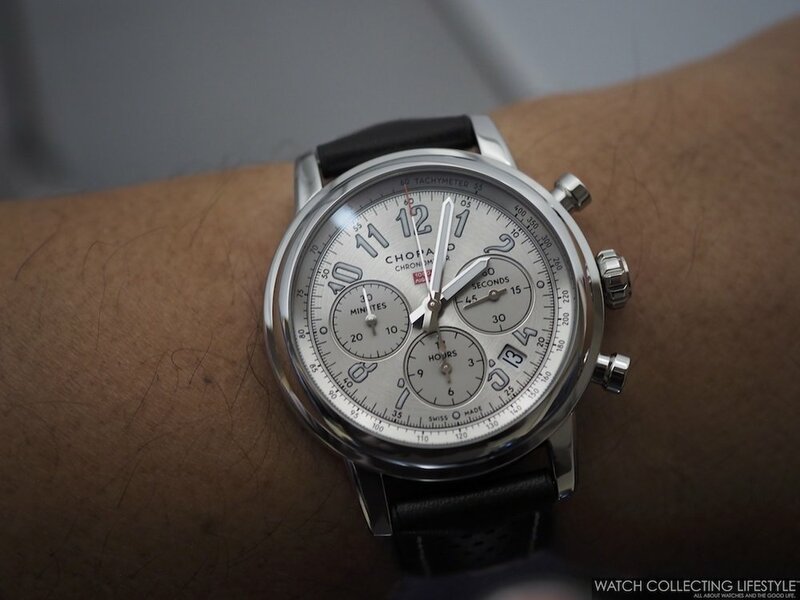 Another great iteration of the iconic Chopard Mille Miglia watch. 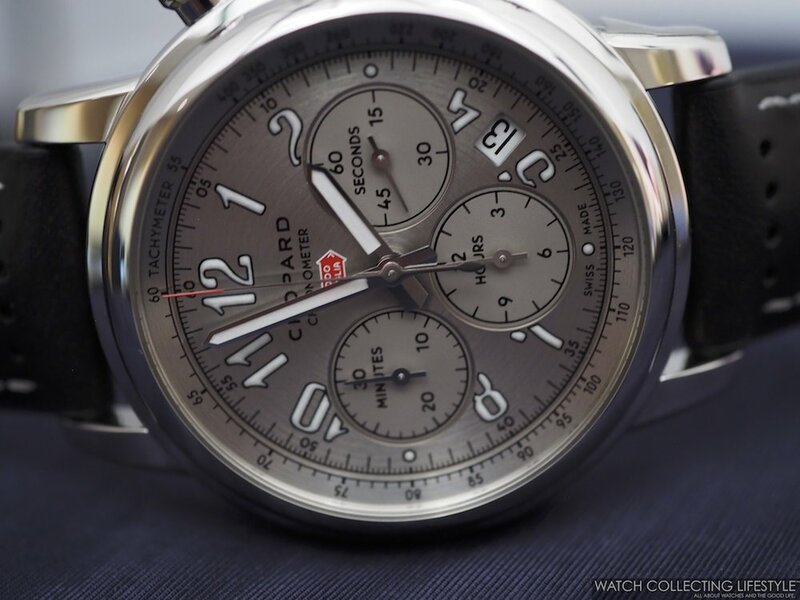 For the price, a lot of watch for the money in a classic looking timepiece that is sporty and elegant at the same time. 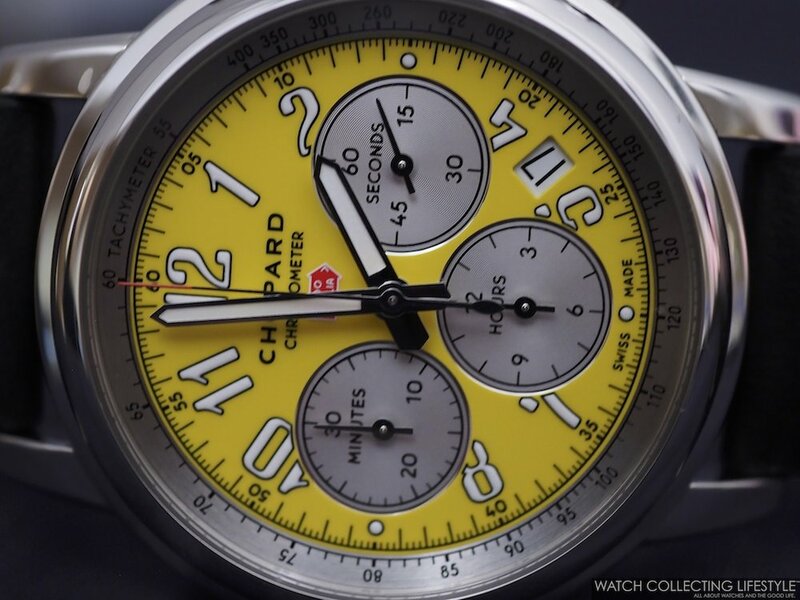 Available in a limited edition of 300 watches for each color. 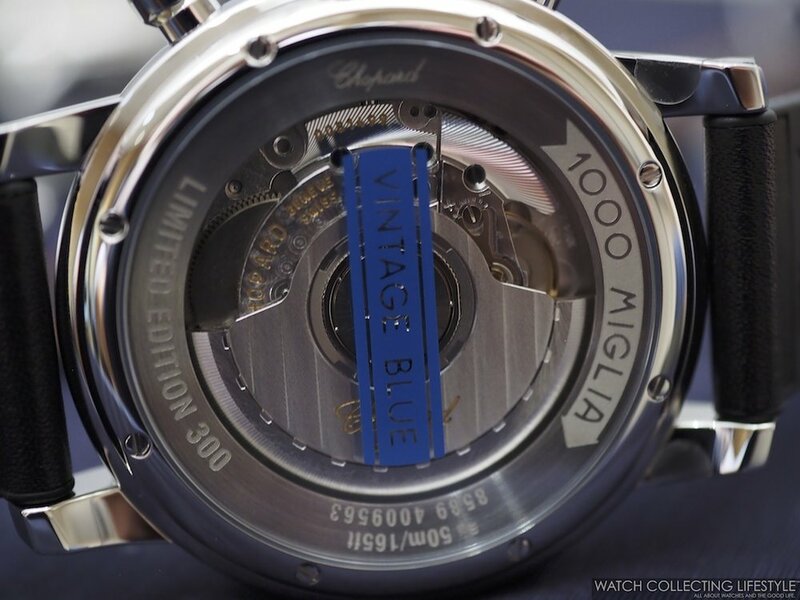 Sticker Price $6,080 USD. 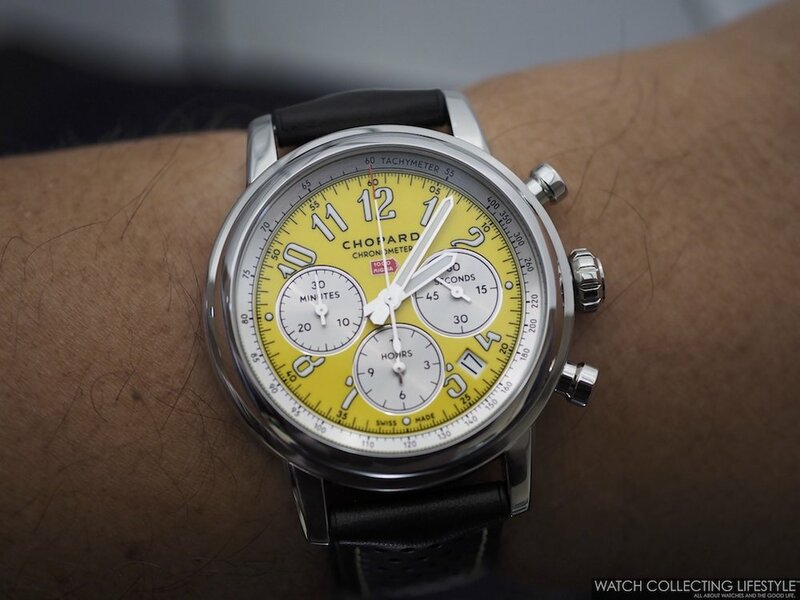 For more info on Chopard click here.